Many years ago, when I was, ooh, much younger than I am now, I took a trip to Lake Garda. I remember it fondly as it was the first time I’d ever seen a lemon growing on a tree. I mean, I knew they grew on trees; I’d just never actually seen them with my own eyes. During my trip, I stayed on the lakefront in a little town called Limone, so I guess NOT seeing lemons would have been a better story. Anyway, the Garda trip was also my first foray to Italy and I was smitten. I spent endless sunny days wandering along streets, staring out at the water, and long, cool evenings, drinking wine and staring out across the water. Bliss. 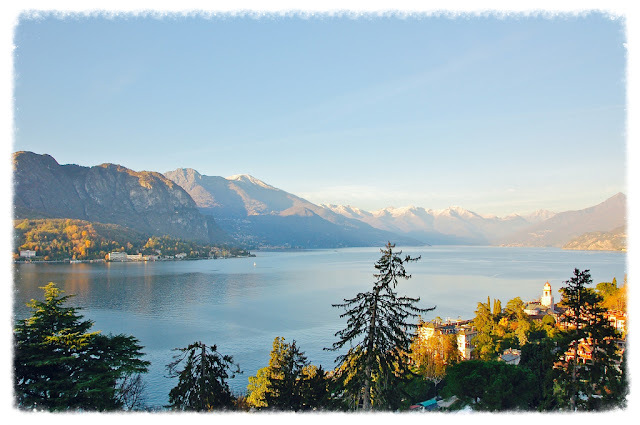 When many, many years later (I can’t quite bring myself to count them), LT and I decided to book a trip to Milan, I quickly realised that it wasn’t too much of a stretch to also fit in a few days relaxing by the still waters of Lake Como. In order to make my case, I enthused to LT about how wonderful Garda has been. He looked unconvinced, so I rolled out the whole ‘you can see lemons….On TREES!’ story. He was sold. 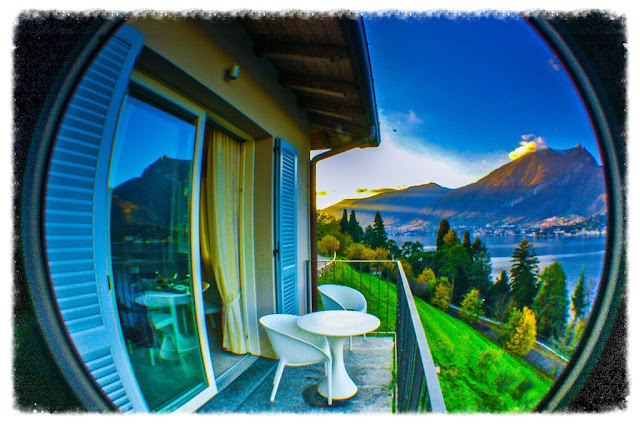 We booked for a week in November, splitting our time between Milan and Como and, whilst not the optimum time of year for a visit (as we later learned…) it was very quiet and relaxing. We hopped a plane from Glasgow and after a quick flight; bus ride; rain journey; bus ride, and a rather petrified walk along the side of a very steep hill: we were there! We arranged a self-catering apartment in Vergonese, which is just a 5-minute drive from the beautiful lakeside town of Bellagio. We promptly dumped our stuff (by which I mean we hung it all up neatly and made sure everything was in order) and then ventured out to our balcony to watch the sun setting over the Lake. 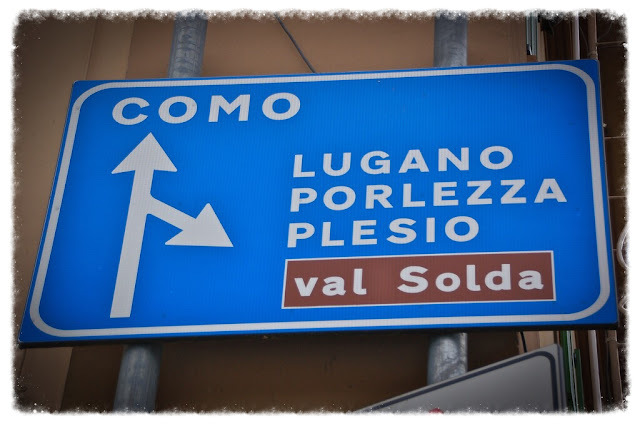 When I mentioned to colleagues that I was visiting Bellagio, the common response was, not in relation to the scenery, location on the Lake, or potential hotbed of the living dead, surprisingly, but more the fact that George Clooney owns property there. I didn’t see him. I guess HE knew about the bread shortage/Walking Dead thing and chose to stay at home. He’s a smart boy, that one. I concluded that as long as I had wine and didn’t spot a zombie, we’d be just fine. 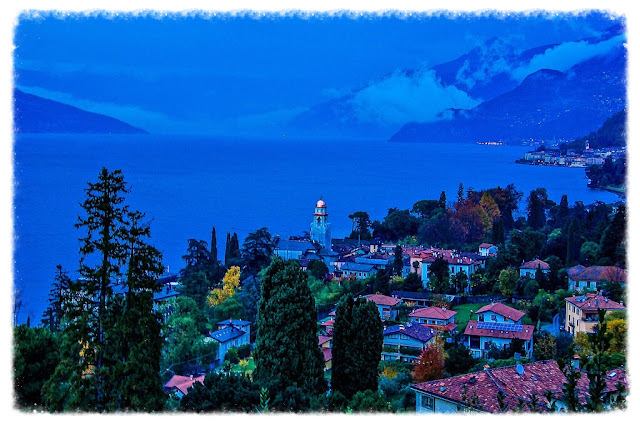 Bellagio is known as ‘The Pearl of the Lake’ and has a myriad of hotels and restaurants to allow you to soak in the atmosphere that comes with its impressive location. 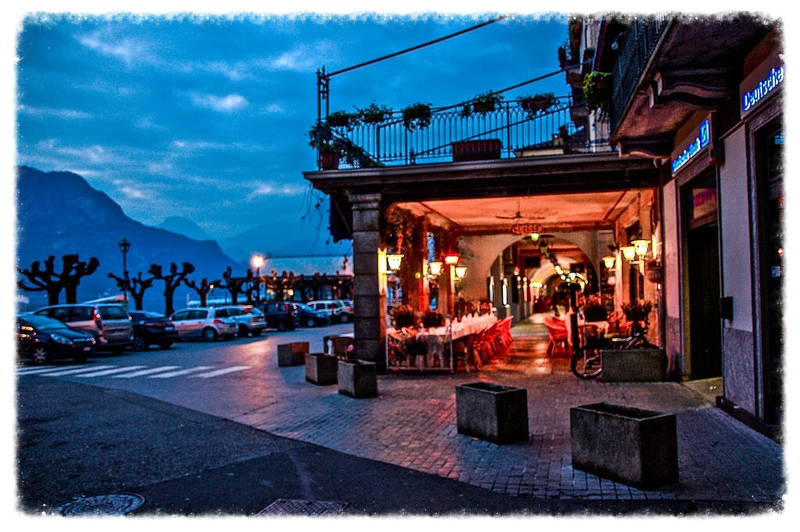 Situated on the Como’s western coast, it is filled with intimate dining experiences and cosy little bars, where you can enjoy fine Italian cuisine and relax with some excellent red wine. That’s what I did, anyway. 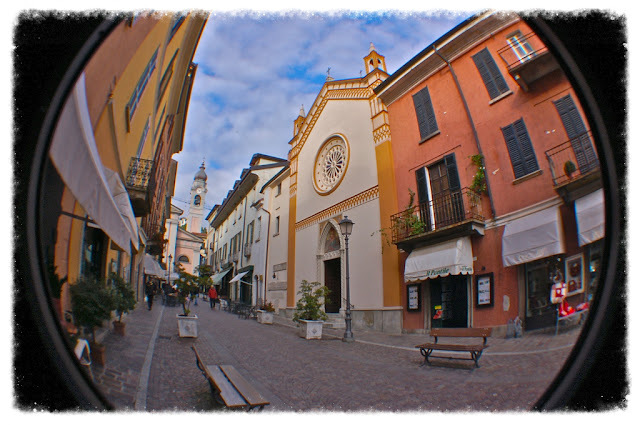 Bellagio is best explored on foot and has many cobbled stairways and gorgeous shops, selling a wide range of fine goods. If you’re more adventurous (and a bigger fan of getting wet than I am), you can also indulge in some sporting activities on the Lake. I wouldn’t so much recommend this in November, though. I once shattered my wrist walking my dog, so extreme sports are definitely not for me. 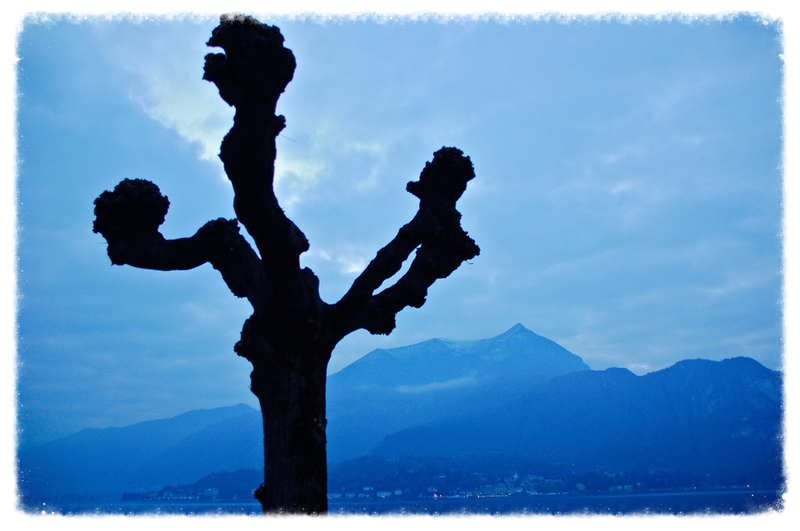 If you stand on the waterfront in Bellagio, you can spot a town across the water. 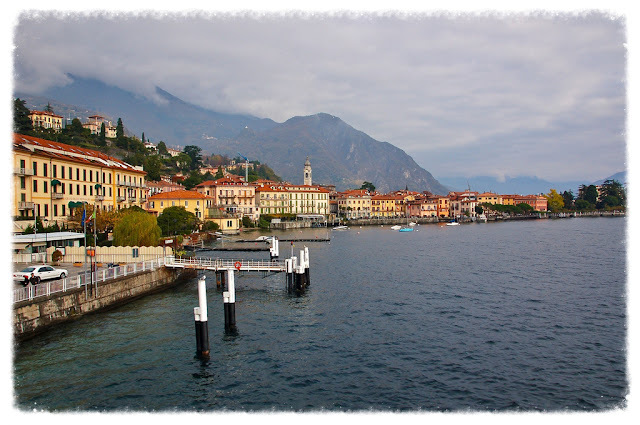 This is Varenna, on the eastern shore of Como. A ferry docks several times a day (more regular in the high season) and will take you across the water for a reasonable fee. Varenna can be easily accessed from Milan, with a direct train service running from its station. It is an extremely pretty town, with lots of beautiful fisherman’s houses and gorgeous waterfront walks. Varenna, like Bellagio, has much to offer and is home to two fabulous Villas in Cipressi and Monastero. The Gardens at Cipressi are open to the public, as is the House Museum and Botanical Gardens at Monastero. The town of Varenna is also lovely to take a gentle stroll around and there are many little waterside cafes and bars that you can sit in and enjoy the scenery. The river walk is also beautiful and has lovely manicured lawns and public area. Should you venture back to Bellagio and hope a bus down towards the foot of the lake, you'll find Como Town. 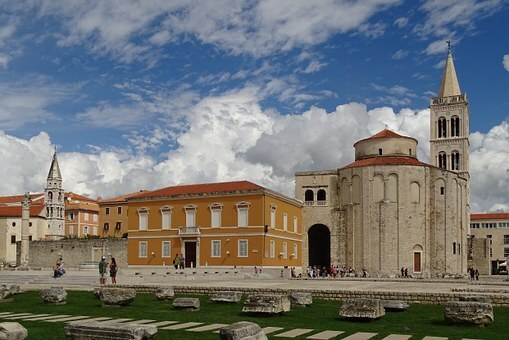 It's much more lively and boasts a Cathedral (which is stunning), tourist information, a haunting water front memorial to the Holocaust victims, and a good range of stores, restaurants, gardens and supermarkets. We stocked up on some goodies and found the prices to be really reasonably. Particularly the wine (well, when in Rome....) We also spotted some packaged brains. I'm not even kidding. It was proudly sitting next to the beef, so I can only assume it was cow brain. I chose not to inspect it any further. Wine was really all I was there for. I already have a brain and, although I don't always use it, I certainly don't want anyone to eat it. 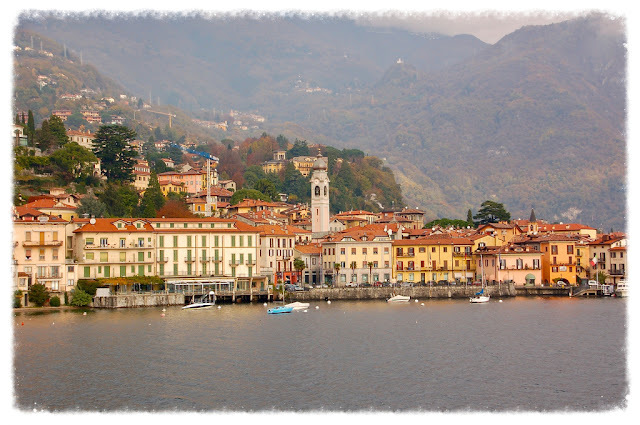 Even off season, when the whole area is devoid of tourists and the water is sparking and serene, Lake Como is a beautiful and, dare I say it, very romantic destination. Now that I've seen it at it's quietest, I think I'd be disappointed to go back and find it full of visitors during. I enjoyed having it to myself. Selfish, I know. True, though. Have you visited Como? What did you do and what are your recommendations?